I’m currently working through Benjamin Gettler’s political work, and have just finished the first of six folders on his political correspondence. 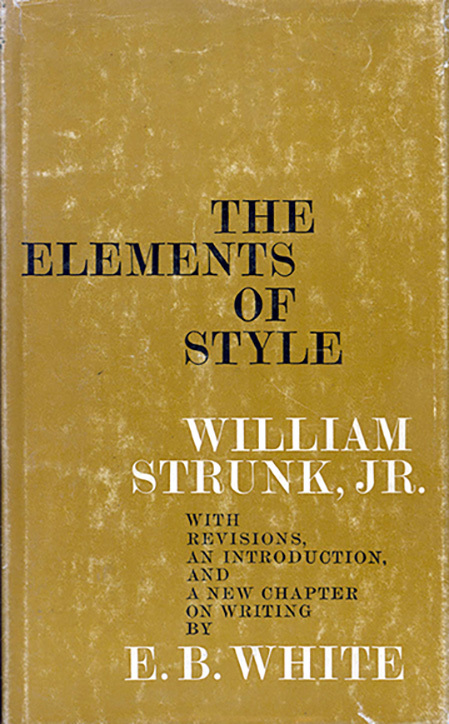 So far I’ve identified 150 items, representing approximately 30 years of his work, views, correspondence, and recognition. 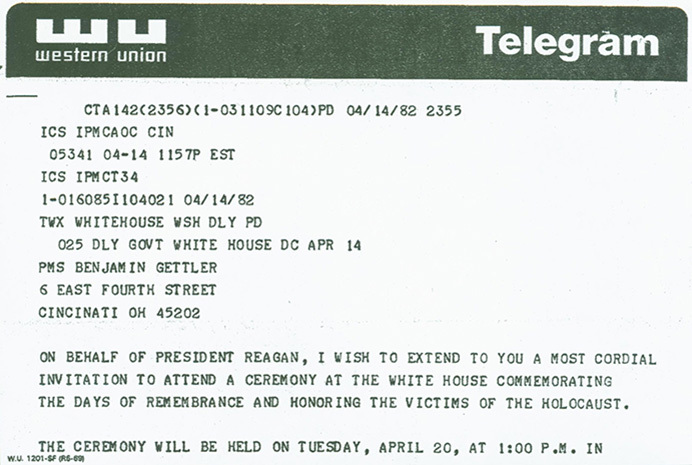 Largely, Gettler placed his energy into the Republican party, notably towards the Reagan/Bush campaigns. 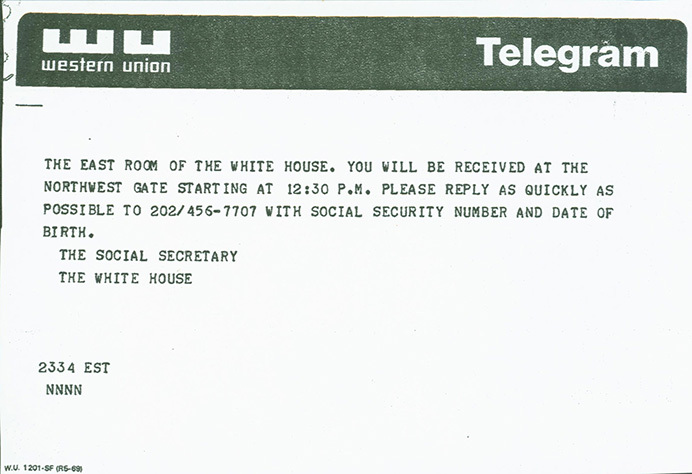 His campaign aid for politicians earned him various accolades, such as an honorary address to the House of Representatives from Representative Brad Wenstrup; invitations to Inaugural Balls for Ohio Governor Bob Taft and President Ronald Reagan, and an invitation to visit the White House in 1982. One of the collecting areas of the Rare Books Collection in the Archives & Rare Books Library is early travel and exploration. Though this area of the holdings ranges from the 16th century to the 20th, many of the travel accounts are illustrated volumes from the 19th century. 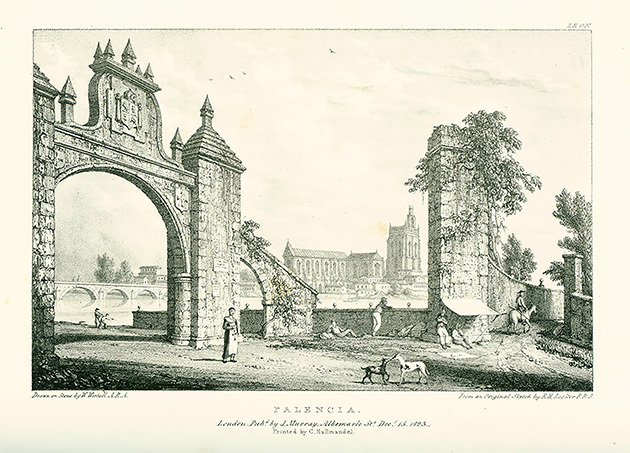 During the Peninsular War (1808-1813) that was fought between Napoleon and Spain against Great Britain and Portugal for the control of the Iberian Peninsula, the English watercolorist and civil secretary of 1st Viscount Exmouth Edward Pellew, Edward Hawke Locker, recorded his tour of Spain through watercolors and etchings. 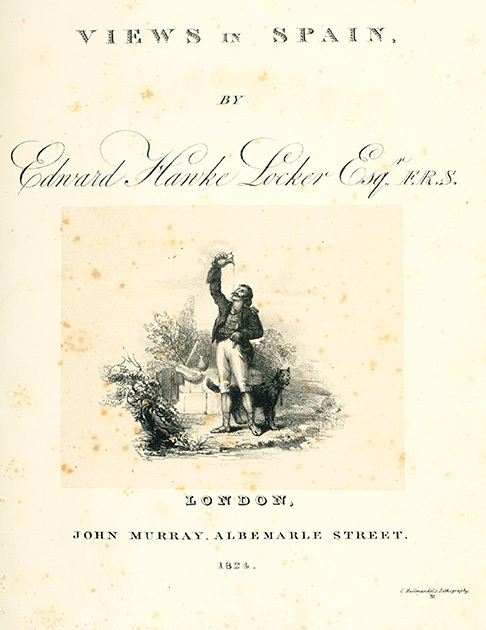 Following his appointment as civil commissioner of Greenwich Hospital, Locker proceeded to publish his account in Views of Spain (1824). Come hear about Ohio’s digital newspaper project and learn how to freely access historic newspapers from around the country. Did you know that 90 Ohio newspapers including foreign language papers have been digitized and are now part of the Library of Congress’ free newspaper database Chronicling America? Learn how to access the over 13 million pages of historic newspapers from 47 states and territories covering 1789-1963 on Chronicling America. Jenni Salamon, Coordinator for the Ohio Digital Newspaper Program, and Bronwyn Benson, Quality Control Technician, from the Ohio History Connection will demonstrate basic and advanced search strategies and how to work with your results to find information about local, state, national and international events, people, places and culture. 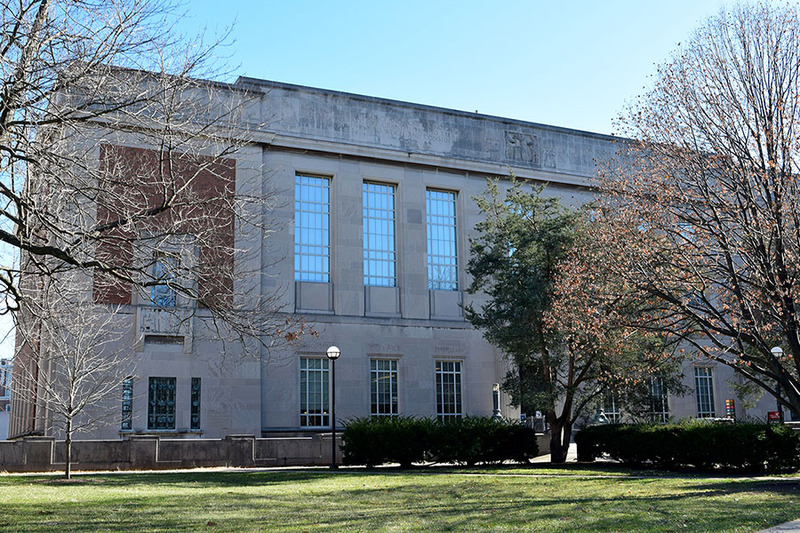 They will also provide a brief overview newspaper digitization process and an update on the digitization of Ohio’s foreign language newspapers. Treasures from the Archives and Rare Books Library collections including items from the German Americana collection that complement the digitized newspapers will be available for viewing before and after the presentation. For the past several months, work has continued on processing the Benjamin Gettler Papers donated to the Archives & Rare Books Library. 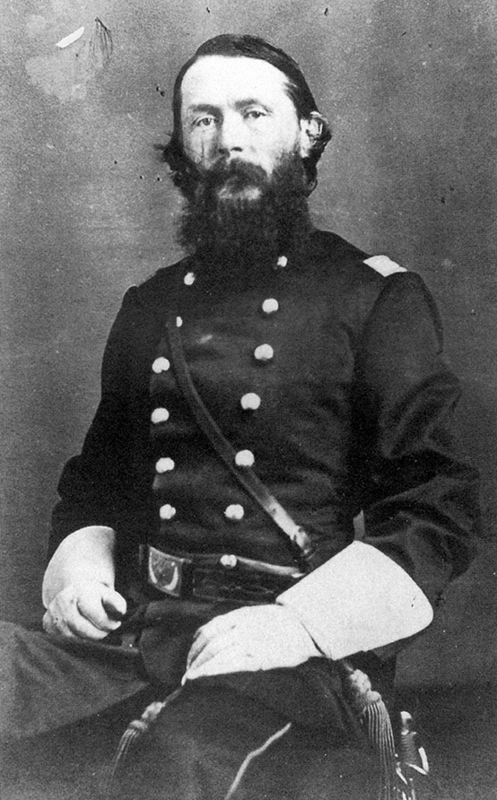 Gettler was a notable lawyer, businessman, and civic activist in Cincinnati, an international philanthropist, and a former member of the University of Cincinnati Board of Trustees. I’ve been fascinated by the amount of public transit-related history in this collection. An often over-looked part of urban history is transportation infrastructure. Public transportation records can tell us not only where people lived, worked, and played, but also the routes taken and who the routes served. They can also provide insight into how, where, or why neighborhoods changed over time. Cincinnati’s public transportation, as we recognize it today, really began in 1873 when several horse-drawn tram systems merged to form the Cincinnati Consolidated Railway Company. 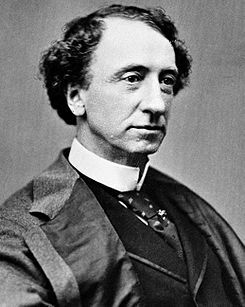 Nearly a decade later, it was renamed the Cincinnati Street Railway Company (Gettler, 2012). 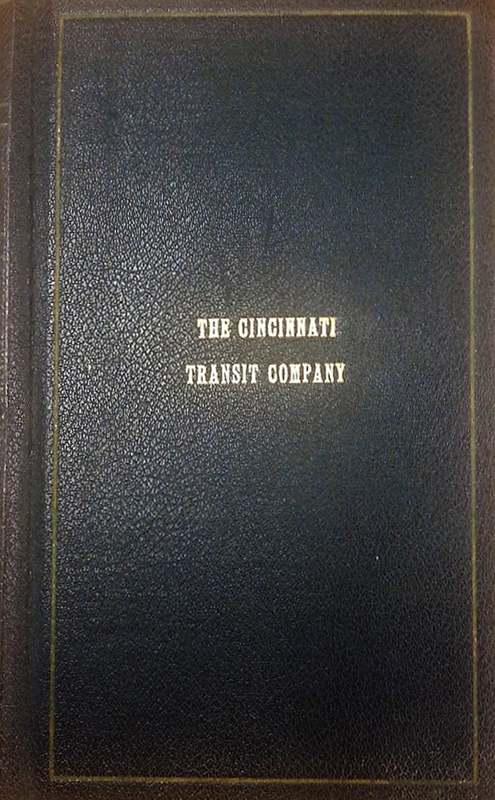 It remained the Cincinnati Street Railway Company until 1952, after the company had fully transitioned from rail to rubber-tire service, becoming the Cincinnati Transit Company. In my previous blogs, I have explored the history of Cincinnati’s House of Refuge and the records of the institution that are still available. Throughout my journey, I have been struck by the number of homeless children and children without adequate homes who were placed in this juvenile detention facility. One of the questions that I have been exploring is why these children were placed in the House of Refuge and not in another institution. 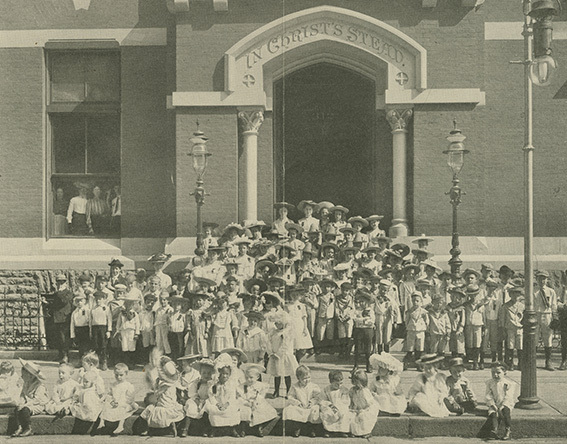 My first thought was that there must not have been anywhere for these children to go, but a search for orphanages and other institutions in 19th Century Cincinnati has revealed that there actually were institutions that cared for children who had been abandoned, neglected, or whose parents were simply unable to care for them. So why were children who were not juvenile delinquents living in the House of Refuge? It seems that one reason may have been because there was not a standardized or centralized way of dealing with neglected, abused or homeless children in the city. Travel literature in 19th-century India was closely linked to the British empire. Behind every picture was an army. 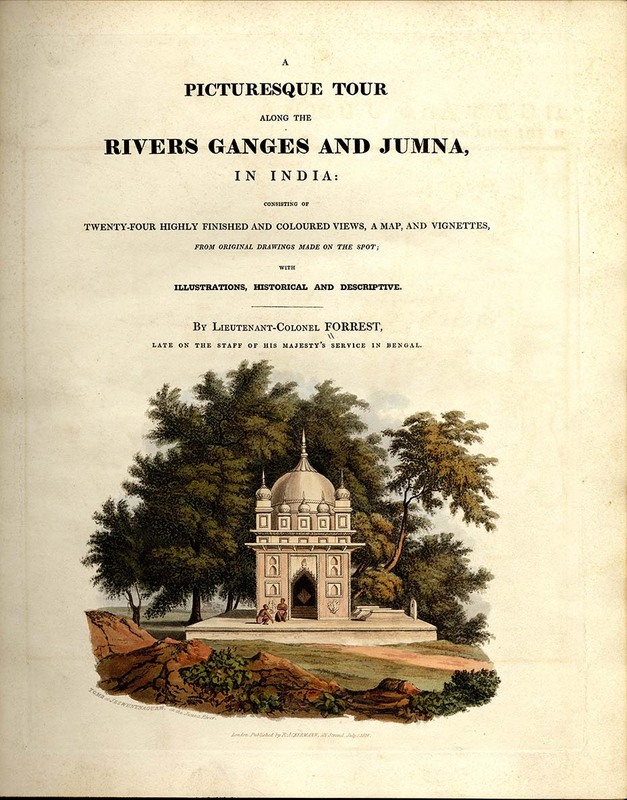 This is especially true of Lieutenant-Colonel Charles Ramus Forrest’s illustrated book, A Picturesque Tour Along the Rivers Ganges and Jumna, In India, (SpecCol RB Oversize DS408 .F65) published in 1824. 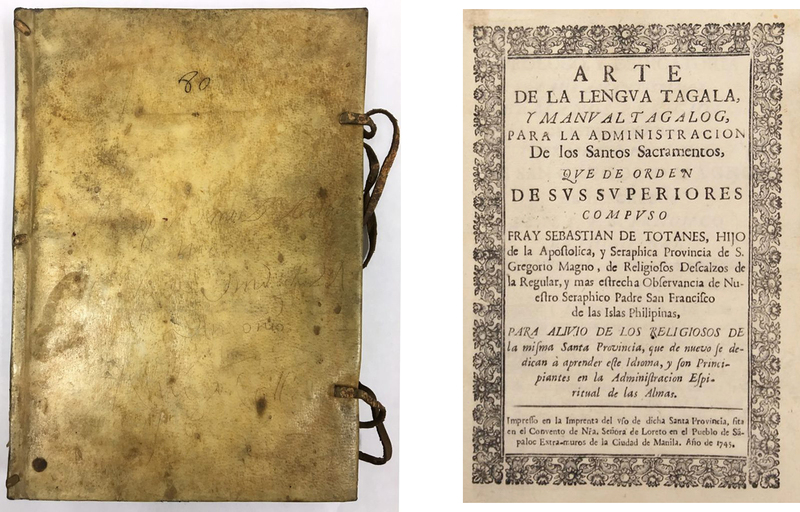 The University of Cincinnati’s Archives & Rare Books Library holds a rare first edition of Sebastián de Totanes’s Tagalog grammar, Arte de la lengua tagala y manual tagalog para la administración de los Santos Sacramentos. Printed entirely on rice paper and bound in vellum, this book served as a Tagalog language primer for Spanish missionaries.